Ocean City RV Resort – Located in Ocean City, on the beach near Ocean Shores, WA. Located in Ocean City, on the beach near Ocean Shores, WA. Ocean City RV Resort features a peaceful atmosphere, private trail to the beach, and vehicle access to the beach just down the road. Full sized wheelchair accessible bathrooms and showers make your stay more comfortable or you can relax back at the site on the paved patio with fire pit. We are located on the coast of Washington close to all the action so if you’re in the mood for peace and quiet by the fire here in Ocean City or the convenience of the activities just a few minutes up the beach in Ocean Shores then this is the place for you. Clam diggers are welcome, and don’t forget to check out the events . Don’t want to leave? Monthly renters welcome! Full RV hookups, 50 Amp service. Cable has gone digital, some RVs may not be compatible. 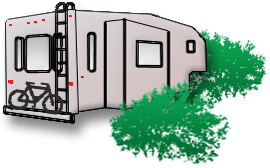 All RV sites include patio, chairs, table and fire pit!